The Jarvis surface cleaner pressure washer is a cold water hard surface cleaner all in one unit. Equipped with pump and engine attached to a surface cleaner designed for streak free cleaning business entrances, parking lots, side walks, pool decks, etc. 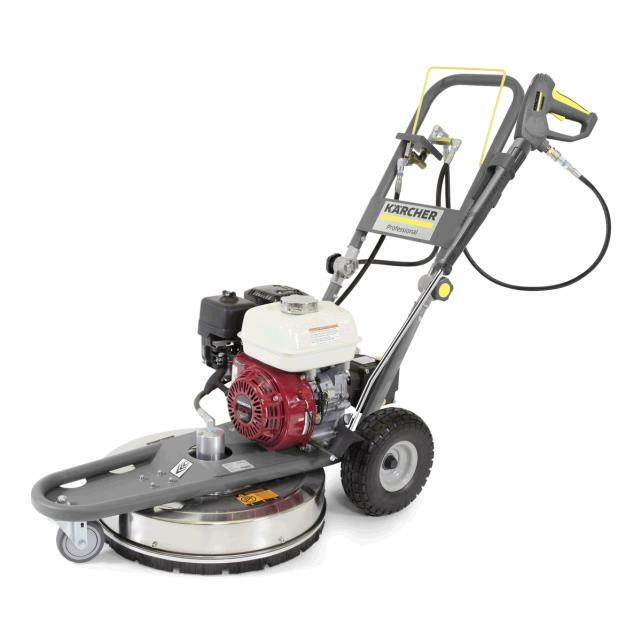 The Jarvis surface cleaner is equipped with a 3500 psi pressure washer, simple on/off operation, flat free tires and a separate pressure gun for harder to reach places.